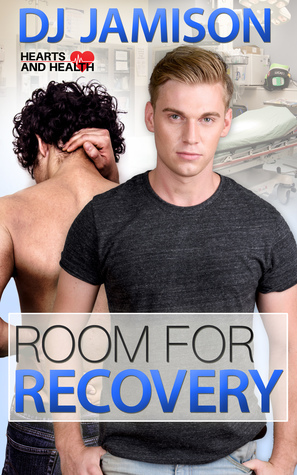 'Room For Recovery' is the fourth book in D.J . Jamison's series 'Hearts and Health' and we've actually met both of the characters in this pairing previously. Beau James is the nephew of Xavier James from book 2, Bedside Manner and book 3 Urgent Care and we were introduced briefly to Wade Ritter in book 3 as well. Wade was the troubled young son of Trent's friend and part of the family that Trent helped move to Ashe at the end of 'Urgent Care' and for more on that...you guessed it read the book...hey, it's a good one. It's my favorite. I have to admit at the time that I requested this one for review I hadn't read the first 3 books yet and in a way I'm glad because I would have definitely had a much stronger sense of who these two characters were and I probably wouldn't have requested this book...why? you might wonder well, it's simple...they're young adults...not my cuppa'. But since I hadn't read those books I didn't realize how young Beau and Wade were...high school, folks...senior year but still not an age group that I tend to read about much. Surprisingly though I really enjoyed this one. Was there drama and angst? Well, hell yeah!!! It's high school and really you show me a teenager who isn't a walking definition of drama and angst? It's how they survive and when you have a large group of them...well, let the games begin. Beau's got his life together...mostly and he's tried since he first met Wade to be friends with him but Wade's not having any of it. He's a young man who's been off the rails for a while now and he's so deep in the closet that if he can find a door I'm pretty sure it's the one to Narnia. However, Wade's attraction to Beau seems to be getting stronger than the reasons that he's kept himself buried in the closet for so long and with Wade's surrogate uncle, Trent living with Xavier who happens to be Beau's uncle. Wade can only avoid coming into contact with Beau for so long and when he sees Beau getting bullied his protective instincts kick into high gear and he becomes determined to keep Beau safe even if it means that he has to crack the closet door open and take a peek to see what's out there. I enjoyed this story a whole lot more than I expected to once I realized the age of these two, but I decided that in all fairness I needed to read the story and base my rating on everything and not just the age of two characters even if they were the MCs and I'm definitely glad that I did. While there was a lot of angst and drama as I said before this is an age where that's more the norm than the exception. 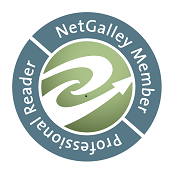 As well though there were things going on that definitely added authenticity to this story and made for an even more enjoyable reading experience in my opinion. As has been the case all along with this series we're also introduced to the characters for the next story in the series...or at least one of them because we met the other one earlier in the series. So I'm definitely looking forward to what's next in D.J. Jamison's Hearts and Health series and while this book was more of a YA or NA story it fit in beautifully with the series and I'm really glad that I didn't miss out on the reading experience. An ARC of 'Surprise Delivery' was graciously provided by the author in exchange for an honest review.